Virtualization is a fascinating technology to trace historically. While the roots of virtualization date back as early as the 1960s, with initial development by IBM, Bell Labs, and MIT’s Project MAC, most businesses today consider VMware to be a pioneer in bringing modern virtualization to the market. Through server virtualization, organizations achieve improved efficiencies and controls — while also saving money. Applications and operating systems that were once chained to a single bare metal server or endpoint can today be transformed into software for greater flexibility. This has revolutionized the modern data center. Once IT directors discovered they could support more applications on fewer servers, the amount of hardware companies needed to support was cut down dramatically. Since then, virtualization has moved from servers to desktops and more. Server virtualization is the process of creating multiple virtual instances on a single physical sever by using a layer of software known as a hypervisor. Instead of running one operating system instance and one application on one server, server virtualization allows IT administrators to partition the server into multiple operating system instances and associated workloads, all from that same single server. When discussing server virtualization, the physical server is called a host and it runs a host operating system. The virtual machines (VMs) are guests and run guest operating systems. Server virtualization is the basis for what is now cloud computing and hybrid IT, the idea that workloads and computing can occur beyond the physical servers in virtual instances. 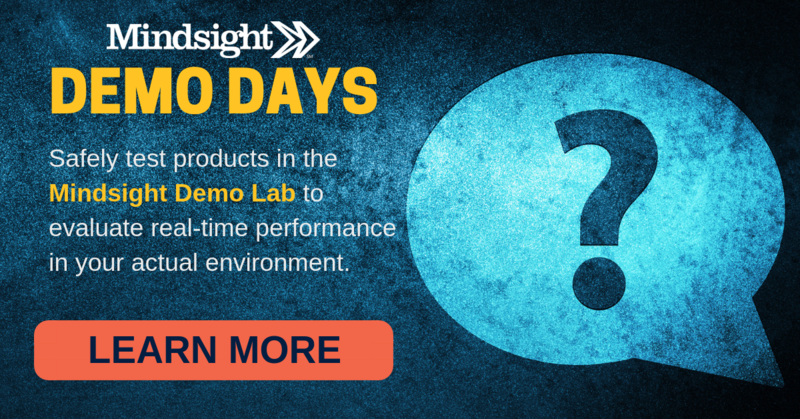 Find out how server virtualization can benefit your unique environment by joining us for our free weekly demo days. In this hands-on lab, our engineers will test out how virtualization would impact your environment. Why Is Server Virtualization Useful? With less equipment to purchase and maintain, hardware and operating costs could be reduced by as much as 50%, and energy costs by 80%. Virtualized data centers gain the ability to move workloads dynamically within a resource pool for greater flexibility. Scale existing apps or deploy new ones by spinning up more virtual machines. Provision new servers up to 70% faster through virtualization. There’s no new hardware to buy. There’s no installation required. Everything is done digitally from the hypervisor manager. The physical servers that remain in the data center will make full use of their compute power. Run a collection of virtual machines on one server instead of a single application. Additional disaster recovery options become available through virtualization. Virtualization is a no-brainer for the modern data center. Instead of hosting each application on its own designated server, sever virtualization transforms applications into digital software. One physical server can now host dozens of applications as virtual machines with no decrease in performance or availability. Condense your data center, power less hardware, and save as much as 50% on recurring technology expenses. Expert certified engineers conduct an analysis of your data center and develop a detailed roadmap for how to improve performance. The Infrastructure Optimization Roadmap is a great first step for those exploring virtualization. Even if you are already running VMs, virtualization also includes other aspects of your infrastructure, such as desktops and applications. Find out how Mindsight works with VMware and Citrix to support increased performance in all aspects of the data center for our clients today.